Image of group protesting Transcontinental’s Atlantic Sunrise pipeline near the Conestoga River. Photo credit to Wallace McKelvey with Penn Live. In Transcontinental Gas Pipe Line Company, LLC v. Permanent Easements for 2.14 Acres in Conestoga Township, Lancaster County, Pennsylvania (“Transcontinental”), the Federal Court for the Third Circuit held that courts have the ability to grant possessory injunctions to condemning authorities once the substantive right to possession is established. Put simply, once the court says the condemning authority can legally take possession of a property, the court can give the condemning authority immediate possession. One consequence of this decision for landowners is that they are no longer guaranteed their Constitutionally mandated just compensation prior to possession being given to the condemning authority. As long as the power to condemn has been properly established, the court may grant immediate possession to the condemning authority. Before diving deeper into the Transcontinental decision, it should be clarified that this decision applies only to eminent domain cases arising under the jurisdiction of the Natural Gas Act (“NGA”). In other words, Transcontinental only affects pipeline projects falling under federal jurisdiction. The ability of a condemning authority to immediately possess a landowner’s property will vary case to case and will partially depend on the specific kind of project at issue as well as whether the case falls under federal law or state law. (3) that the amount claimed by the owner of the owner of the property exceeds $3,000. This is step one for any private pipeline constructor wishing to condemn. However, paths can diverge after step one as there is more than one “flavor” of eminent domain. The first is “standard” eminent domain, the ability of the pipeline to condemn an unwilling property owner. In standard cases, the title to the land passes, and the right to possess (occupy) the land vests after a final judgment and the determination of just compensation. In “quick take” condemnation, the condemning authority files a “declaration of taking” document. This document states the legal authority for the taking, the public use the project will have, and an estimate of compensation. Upon depositing the estimate compensation, title vests immediately with the condemning authority. For those who know how the Texas procedure for eminent domain functions, the “quick take” brand of eminent domain may seem somewhat familiar. However, the NGA authorizes “standard” eminent domain, but not “quick take” eminent domain. This distinction becomes important when discussing the landowner’s arguments. (4) public interest favors granting the injunction. Upon meeting these two tests, one to prove a valid exercise of eminent domain power, and second, to show a need for a preliminary injunction, a condemning pipeline company can immediately possess the landowner’s property. In Transcontinental, the Defendants were property owners whose land was being condemned by a private entity, the Transcontinental Gas Pipe Line Company, LLC (“Transco”), so that they could construct a liquid natural gas pipeline, the Atlantic Sunrise Expansion Project (“Atlantic Sunrise”). 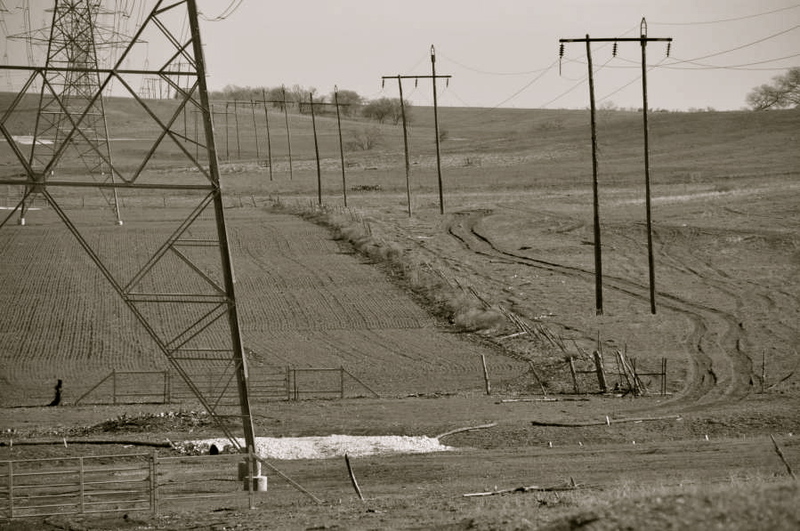 The Court noted, regarding the validity of the process through which Transco obtained its status as a valid holder of eminent domain power, that Transco met all three requirements. The administrative review began in 2014 and took three years to complete. On the first element, FERC’s issuance of certificate in February of 2017 was proper. The second and third elements were met when the landowner rejected Transco’s purchase offers, which exceeded the $3,000 requirement. In June of 2017, Transco asked the court for a preliminary injunction which would allow them to immediately possess the land. The request was granted in August of 2017 because the court found that each of the four elements of the preliminary injunction were satisfied. On the first element, the court found that Transco had already succeeded on the merits. It relied on a previous case Columbia Transmission, LLC v. 1.01 Acres as precedent. In that case, a grant of injunction in condemnation was proper because there was no outstanding merits issue. The second element regarding harm was met when Transco successfully showed that irreparable harm would result to the project’s construction schedule if access to the land was not swiftly granted. The third element was met when the court found that greater harm would not result to the landowners as a result of the injunction being granted. Their reasoning was that Transco already had a substantive right to possession because the court already established that Transco validly held the power of eminent domain. Therefore, there was no harm to the landowner, and the issue of whether Transco could possess the land now or later was simply a timing issue. Finally, on the fourth element, the court held that the public interest favored the injunction because the construction of the pipeline would greatly benefit citizens of the state. The landowners were not pleased with the court’s decision and appealed. They presented two arguments for the higher Court’s consideration: 1) That the injunction is unconstitutional because it amounts to a quick take condemnation, a deviation from the standard variety of condemnation provided for by the NGA, and 2) that even if the injunction did not technically constitute a quick take, it amounted to one for all intents and purposes because it had roughly the same effect. The appeals court rejected both arguments, and affirmed the decision of the lower court, stating that the injunction allowing Transco to immediately possess the property owner’s land was valid. On the first argument, the Court said that the landowners had confused the issues. The real issue was whether Congress, in passing the NGA, intended to remove the Court’s ability to grant injunctions to enforce a validly established substantive right, in this case, the right to take. In other words, did Congress intend to prevent Transco’s immediate possession of the landowner’s property when it provided only for standard condemnation in the NGA? The Court said no, adding that this case was strictly distinguishable from a formal quick take action for the following reasons: 1) Transco had validly established its substantive right of possession, and injunctive relief was granted only after the establishment of this right; 2) Transco followed proper form when it posted bond for three times the value of the land; 3) Transco does not formally posses title, but will only receive it after just compensation is finally determined and paid, and, if this were a quick take action, title would’ve vested in Transco immediately; and 4) The landowners had the opportunity to, and did, participate in the injunction hearings, something they would’ve been unable to do were this an actual quick take action. On the landowner’s second argument, that the injunction amounted to a quick take regardless of whether it formally constituted one, the Court rejected this argument as well. The Court pointed out that this was not technically a quick take, and that meaningful distinctions in law existed between the present case and cases where a quick take actually occurred. Additionally, the Court pointed out that the mere existence of quick take condemnation does not mean that other kinds of immediate access are unavailable. In short, the Third Circuit held that pipeline companies operating under the NGA can, in certain circumstances and after satisfying certain conditions, immediately possess the landowner’s property regardless of whether just compensation has been determined and paid to the landowner.